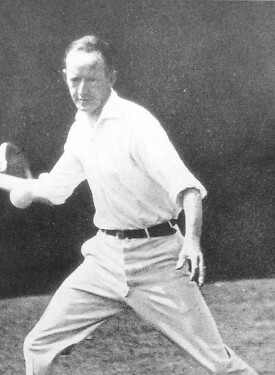 The most popular American player of his era, William “Little Bill” Johnston contributed to seven consecutive U.S. Davis Cup triumphs, and garnered a top ten American ranking 12 times between 1913 and 1926. Perhaps the smallest male champion in history at 120 pounds, he nevertheless used his potent western forehand to beat “Big Bill” Tilden in the final of the 1919 U.S. Championships. Four years later, he ruled at Wimbledon. He twice secured the No. 1 ranking in his nation.